One second you're trying to enjoy your velociraptor-flavored cotton candy at Jurassic World, the next, you're being chased by a giant dinosaur who wants to snack on you. 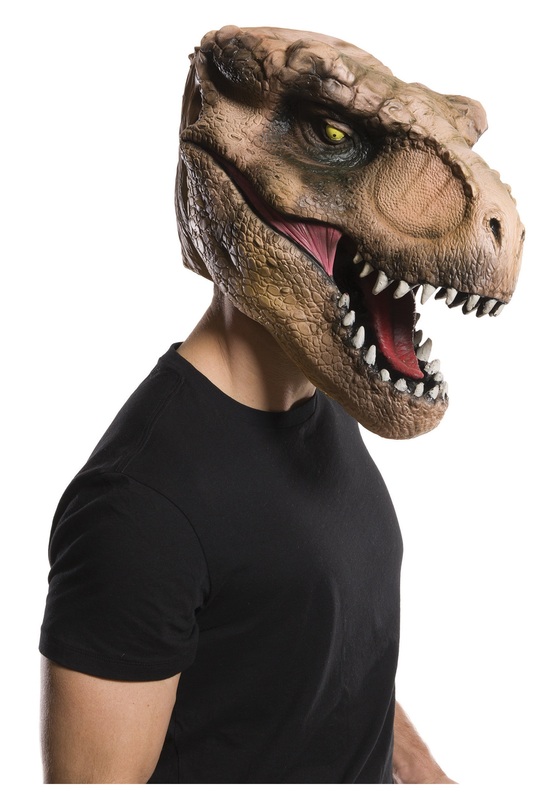 If you really want to walk around a dino-themed park in safety, you should disguise yourself as the king of all dinosaurs with this T-Rex mask. Your arms with opposable thumbs might be a total giveaway to the smarter dinosaurs, but the most of them will mistake you for a vicious Tyrannosaurus Rex! (Note: we haven't tested this theory, so you may want to try tricking your friends into thinking you're a dinosaur before you try this at Jurassic Park).